﻿ Pyeongchang Olympia Hotel & Resort, Pyeongchang-gun | FROM $90 - SAVE ON AGODA! 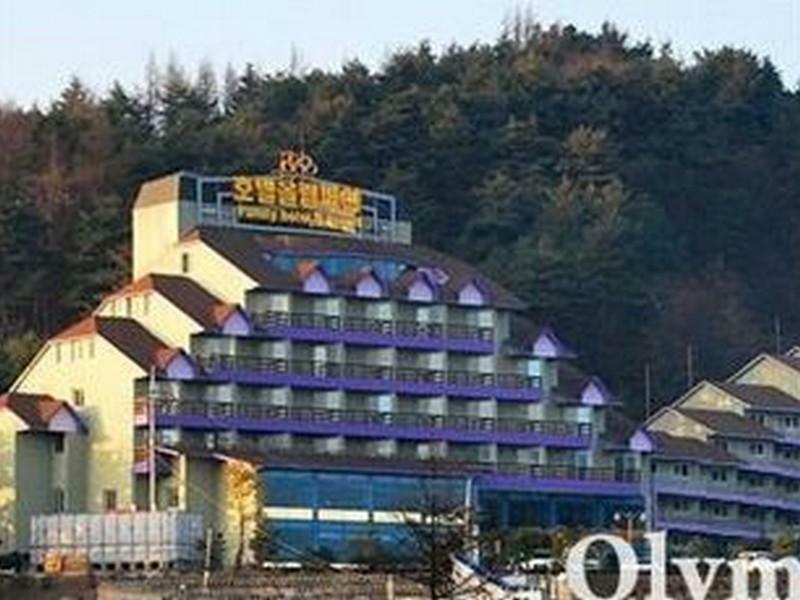 Have a question for Pyeongchang Olympia Hotel & Resort? Conveniently located in Pyeongchang-gun, Pyeongchang Olympia Hotel & Resort is a great base from which to explore this vibrant city. The hotel lies from the city center and provides accessibility to important town facilities. 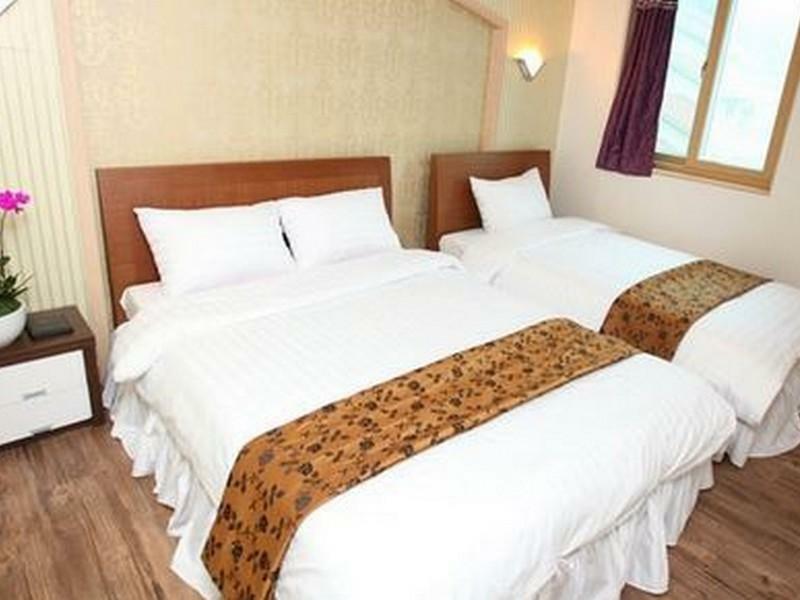 This modern hotel is in the vicinity of popular city attractions such as Alpensia Ski Resort, Ocean 700, Yongpyong Resort. 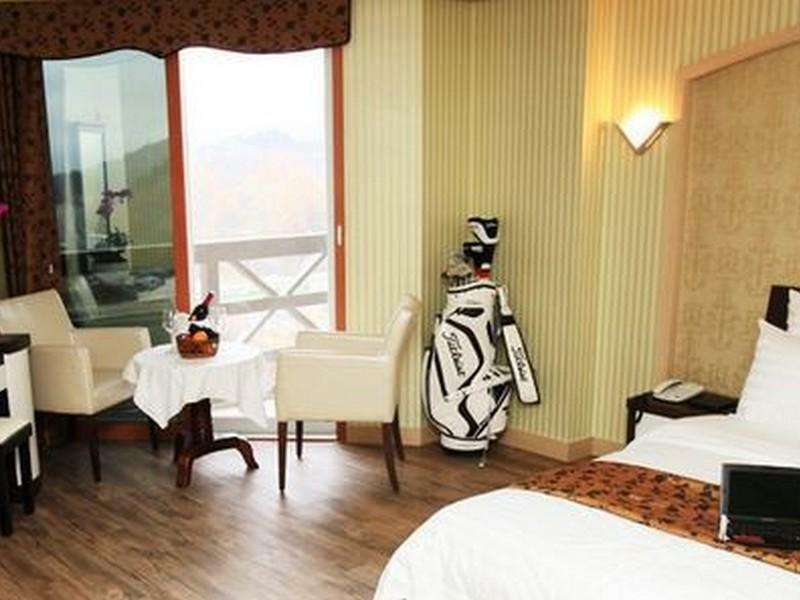 Pyeongchang Olympia Hotel & Resort offers impeccable service and all the essential amenities to invigorate travelers. For the comfort and convenience of guests, the hotel offers free Wi-Fi in all rooms, 24-hour front desk, express check-in/check-out, luggage storage, Wi-Fi in public areas. 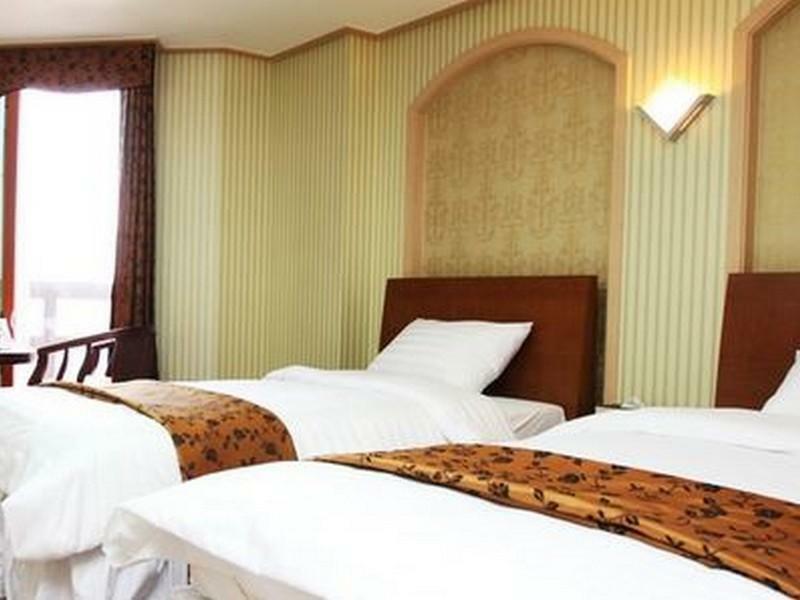 Pyeongchang Olympia Hotel & Resort is home to 98 bedrooms. All are tastefully furnished and many even provide such comforts as television LCD/plasma screen, internet access – wireless, internet access – wireless (complimentary), air conditioning, desk. Besides, the hotel's host of recreational offerings ensures you have plenty to do during your stay. 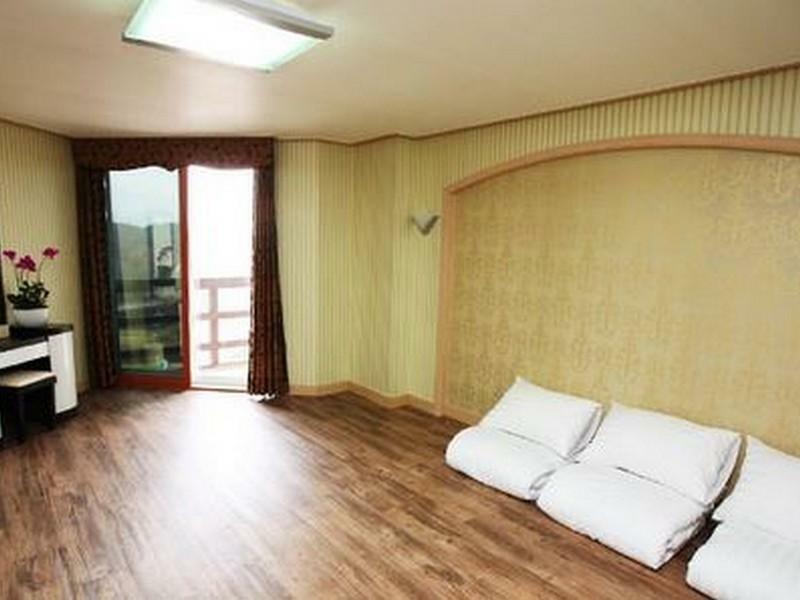 When you are looking for comfortable and convenient accommodations in Pyeongchang-gun, make Pyeongchang Olympia Hotel & Resort your home away from home. Be aware that I stayed in a ondol type room. Therefore, there were no beds or chairs in the place. However, the cleanliness was excellent, the kitchen was fully equiped, the mattresses were comfortable and we even had a television in one of the rooms. Bathroom is really cold, as there is no heating there. You need a car to get to ski resorts, but rooms are great for the price. We booked the hotel knowing it was not centrally located so no complaints about that. But please note taxis are not readily available at the hotel, you'll need to call for a cab and many do not want to go by Meyer fare so you'll have no choice. The hotel is more like a chalet standard, front desk can't speak English and do not try, they do not help you to bring luggage to your room so if you have lots of winter gear and get a room on level 5, good luck ... Oh, and did I mention there are no elevators? You need to walk the stairs with your luggage with no help after checking in . The floor Heater is ridiculously hot even when turned to the lowest temperature, it'll burn you if you decide to walk barefoot and the thin sponge mattresses they give you (thinner than a dishwashing sponge and totally poor quality ) is useless insulation so be prepared to get your back burned at night and keep switching sleeping locations in hope of a cooler spot. They do not clean the room or change the towels during the entire duration of your stay, tried to call them over the phone for new towels but they expect you to brave the winter cold, climb down 5 levels, walk outside in -8 Degrees to the office get your own towels and go thru the same to get back to your room ... And for hand towels too, they do not have bath towels sizes. In summary ... Never again! It was a decent stay due to last minute bookings on our end but i wouldnt recommend it to anyone else. No wifi in rooms, cleanliness at balcony can be heavily improved, room service and towel sizes could have been more catering to the needs of customers. Would be good to have food at the lobby for room service or any sort of midnight snack, especially since it is located in the mountains. The staff was helpful with my request and the room design is my style. The stay was pleasant, the room was nice and clean - very comfy. the location wasn't bad, only five mins away from the slope. Olympia resort is a neat, clean and spacious hotel, close to ski resort. A neat, clean and spacious hotel close to the ski resort. Quiet and with balcony. 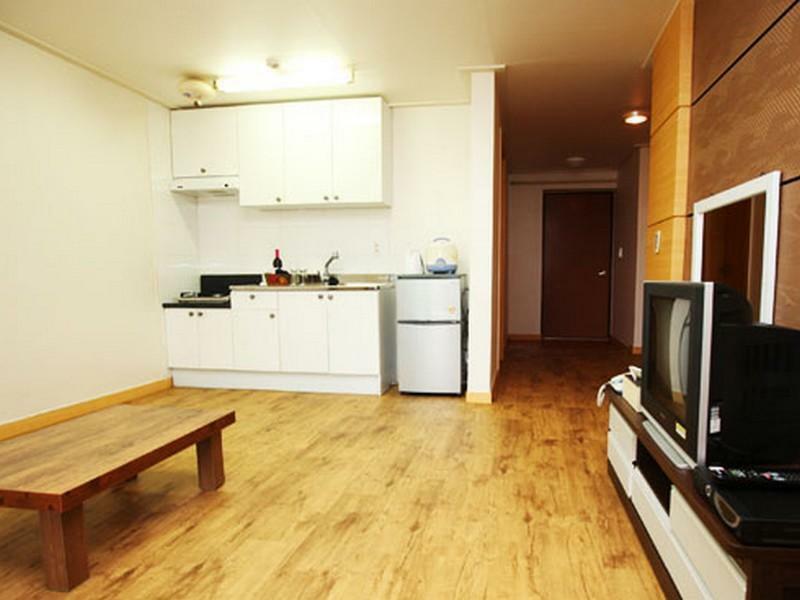 Olympia hotel & resort was reasonably priced compared to Yongpyong resort hotels. However it has only very basic offering. Rooms are really standard, no extras.. even cleaning was not done daily. Staff is very friendly and keeps smiling. They also try to help as much as possible. Language barrier makes communication a little difficult, but that is common everywhere in Korea. Be prepared to find restaurant elsewhere and snacks from shops as there is no regular opening hours for hotel restaurant. A group of four of us stayed at the hotel for one night. The rooms were clean and warm, although there was no hot water available which was frustrating after spending a few hours night skiing at YongPyong. 보통수준이고 리모델링을 조금만 신경써서 한다면좋은 숙박시설이 될거 같네요.특히 목욕실에 욕조나 샤워시설을 설치하면 어린자녀를 둔 가족들에게 편안하게 사용할수 있을거에요. 생각보다 객실이 넓어서 일반실에도 10명까지 숙박이 가능하겠더라구요. 방 두개에 거실까지 있으니 문제 없을 듯 하구요. 좀 시내와 떨어져 있긴 해도 가격 대비 만족합니다. 방도 넓고 깨끗했습니다. Быстрое заселение и выезд. Прокат лыжного снаряде ноя по доступной цене. Отель расположен за городом, но не очень удачно. В нем хорошо останавливаться если у вас есть машина, когда все неплохо. От города общественного транспорта нет, только такси. Отель свежий, но в нем не работал ресторан. Места для еды в близком расстоянии нет. Только такси в город. Прокат лыж и ботинком 10 дол в сутки. За все время пребывания ни разу не было уборки в номере, хотя вешали табличку и говорили. Санузел совмещенный и душ льется на пол и стекает. Самое лучшее-это не дорогая цена.